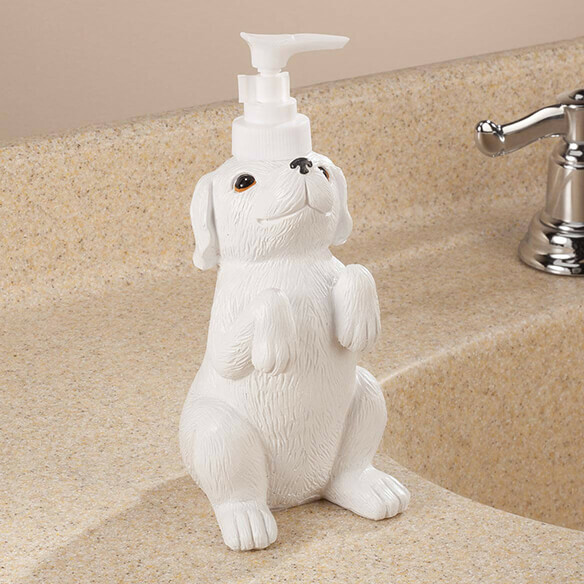 Adorable begging pup is really a pump dispenser for liquid hand soap! Perfect for bathroom or kitchen, it’s crafted of high-quality resin for lasting durability. 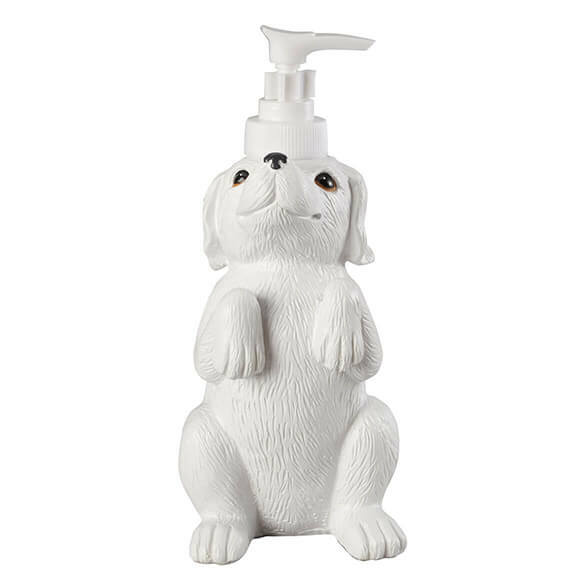 Playful dog dispenser is perfect for lotion, too! Holds approx. 12 oz. 3 1/4”L x 3 1/2”W x 7 3/4”H. It looks very cute and the price was right!